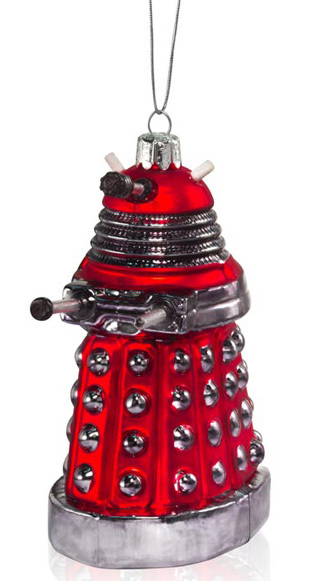 The BBC Shop is offering two glass Christmas tree ornaments this year inspired by the British sci-fi television show, Doctor Who. One is designed to look like a Red Dalek and the other, a blue TARDIS. 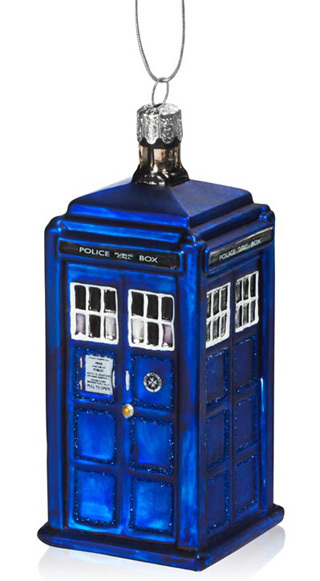 Both ornaments are sold separately or with the Doctor Who Series Six DVD bundle set.